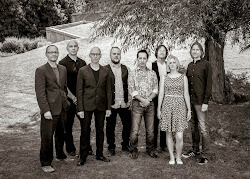 This blog post is about a song called Brooklands which is the penultimate track on the Folklore album. Brooklands is the first ever motor-racing circuit. It is located near the villages of Weybridge and Esher in Surrey, England. There was an aerodrome inside the circuit which was bombed in the war and consequently Brooklands fell out of use as a circuit in the 1930's. 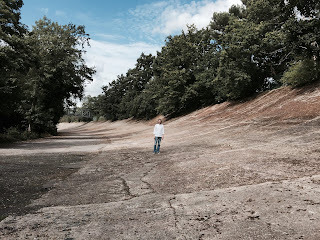 Brooklands had huge banked corners, 100 feet wide, and some of them still remain. In fact, the whole place now looks like a crumbling time-capsule with the eerie remains of the circuit hidden in the trees. Here is some jaw-dropping footage of Cobb and Malcolm Campbell racing at Brooklands in 1932. As you will see if you watch the film, these men were extraordinarily brave. Cobb went on to hold the ultimate track record at Brooklands with an average speed of nearly 144 miles per hour. 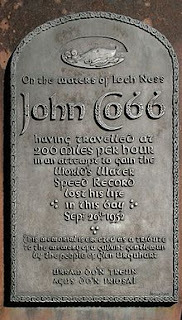 Cobb broke several land and water speed records and continued with his record breaking attempts into middle-age. He died on Loch Ness in 1952 whilst attempting to break the water speed record. Cobb's beloved wife had died before him in 1948 after just a year of marriage. He had recently married again and his second wife was at the Loch when he crashed. The opening of the song sets the scene as John is driving to Loch Ness to attempt the water speed record. As he takes his boat out onto the water he remembers back to his young days at Brooklands and then his later life as a racer. These are the last memories he will think about. Brooklands is about a man who is growing older and wonders, like many of us do: ‘where did all the time go?’ But John Cobb was determined to extract everything he could out of life and to lead the life he wanted to live right up to the end. I imagine that Brooklands was a kind of heaven for him, it being the place that defined him and where he found himself. For those who want to read further about John Cobb, there is an excellent article about this reluctant hero here. Brooklands is well worth a visit. There is a motor museum and an aviation museum on site and a number of period buildings. It is still possible to walk around many areas of the banked circuit and imagine the cars racing by. I visited Brooklands a couple of years ago. Fascinating place. In the nearby village you can still see another part of the banked race track. It's really exciting to imagine those cars - some driven by women - racing around there in its heyday. Wow, very inspiring story. Thanks for sharing this in word and tune! We need more stories of heros like this. Folklore has become very special to me over the last few weeks. Brooklands is the centrepiece for me and my favorite BBT song. My wife is very ill with cancer and her life will soon come to an end as there is no cure. We have lived life to the fullest in the last few months and this year has felt more like twenty. Brooklands fills me with hope and is a great comfort. I know next to nothing about racing but the themes of time and living life to the fullest help keep my hope alive. Brooklands came into my life at exactly the right time. Thank you. John, I read your comment when I was with David yesterday and we would like to thank you for your kind words. Our thoughts are with you both. Thanks so much for your reply Greg. It means a lot. In late August we went away on a family holiday to a place called One Mile Beach in New South Wales just north of Sydney. Each morning and afternoon.when Leeanne was resting I'd walk the beach and listen to your music. I played nothing but The Underfall Yard and English Electric Full Power for about a week. This is when I fell in love with your music and ordered Folklore soon after. I must make special mention of my love for the end brass/trumpet solo section of Victorian Brickwork which always stops me in my tracks. After Leeanne went to bed a couple of nights ago I said I wanted to play a song on the stereo and hear it in its entirety and would she mind. I said the song made me feel good and wanted to share it with her. Leeanne has brain metastases and often struggles with memory. However, the next day she said, "I liked that song you played last night". It made my day. The song was of course Brooklands.